The new CH 801-SD has a longer wing span, more tail surface and a greatly increased useful load! 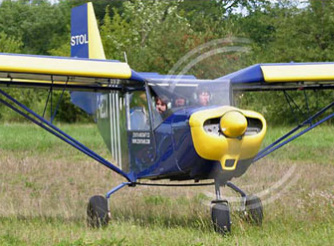 The STOL CH 801 is a robust, utility kit aircraft with a useful load of 1000 pounds! It is not just another pretty plane, yet like the earlier (and much lighter) STOL CH 701, it was developed to provide maximum short-field performance while remaining easy to assemble and maintain; designed for much more than occasional leisure flights and weekend outings, the CH 801 is optimized for getting in and out of short fields and at full loads. First came the 2-seat STOL CH 701 (1986): Absolutely awesome performances, but too small for many, with minimal useful load and limited engine choices - an excellent ultralight! 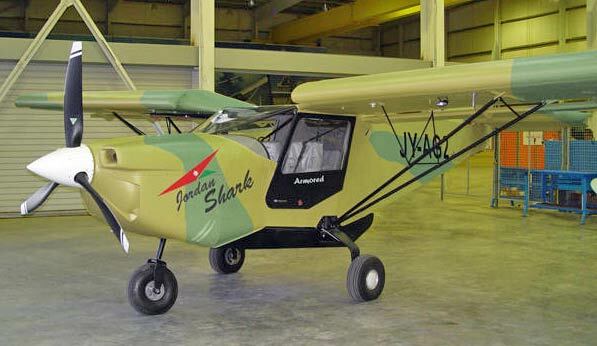 Then, for sport pilots, the Light Sport STOL CH 750 was introduced (2007): “Sky Jeep” performances with a roomy cabin; two-seat economy and lots of engine choices! 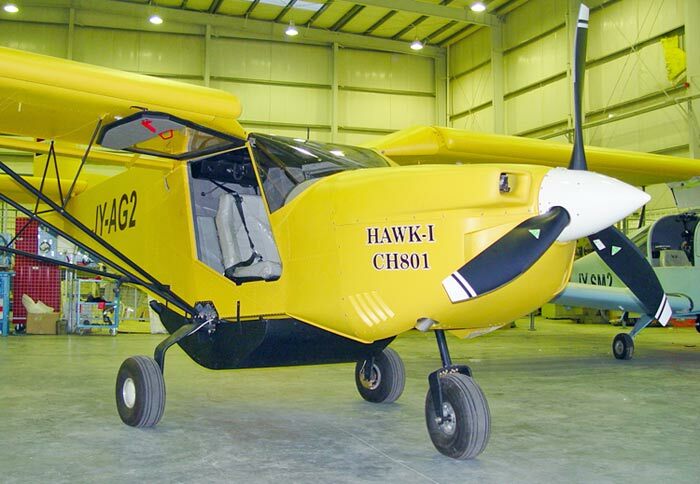 In recent years, in addition to recreational pilots, the utility potential and versatility of the STOL CH 801 has attracted an entirely new group of users: foreign operators more interested in specialized missions and/or in "commercial" applications such as crop spraying. Following extensive field testing and based on the feedback received from these harsh users (who habitually push their loaded aircraft to the limits), Zenair developed the “Heavy Duty” package to meet the needs of "agricultural" users. The “HD” version was thus introduced a decade after the classic STOL CH 801 was first offered; it became the new standard in 2012. Today, for those that want still more carrying capability in an even larger aircraft than the "HD", a new SUPER-DUTY STOL model is now available with a Gross weight of 2,700 pounds! This all-new extended-wing aircraft is the STOL CH 801-SD! Differences between the original CH 801 and the newer CH 801-HD and CH 801-SD models include more ribs in the wings, thicker fuselage skins, heavier streamlined struts, beefier landing gear fittings, beefier cabin frame, more gussets and larger rivets in key areas. The HD modifications do not enhance the performance or specification of the original design, rather, they make it tougher, more resistant to abuse and rough handling. The rational for these changes is to give the aircraft a heavier, more utilitarian look and feel. Now more than ever, the CH 801-HD lives up to its reputation as a “Sky Jeep”... The SD model does more of the the same, but with additional power and for a Gross Weight of 2.700 lbs. THE CH 801-HD and SD: When you need a workhorse! Built of durable all-metal construction, the STOL CH 801-HD and SD models are designed to provide the durability and ruggedness required of an "off-airport" bushplane, while still being quick and easy to build and maintain. Developed as true utility kit aircraft, the STOL CH 801-HD and the STOL CH 801-SD offer modern features in two truly versatile and utilitarian aircraft. The STOL CH 801-HD and SD aircraft are at home on off-airport fields as well as on city airports, providing both the versatility of a four-seat aircraft and the capability of a cargo-hauling bush plane. Developed as utility aircraft, high speed performance has been traded for outstanding high lift features to offer true short take-off and landing performance and spectacular slow flight characteristics, with a huge cabin and payload. While many other aircraft designs may be faster than the Zenair STOL series, none offer more payload and short-field capability in an aircraft that is both affordable and simple to own. Simple systems maximize the reliability of the STOL CH 801. Its slow stall speed makes the aircraft easy to fly and give it spectacular short-field performance as well as overall versatility. Contact Zenair Ltd. for more details. 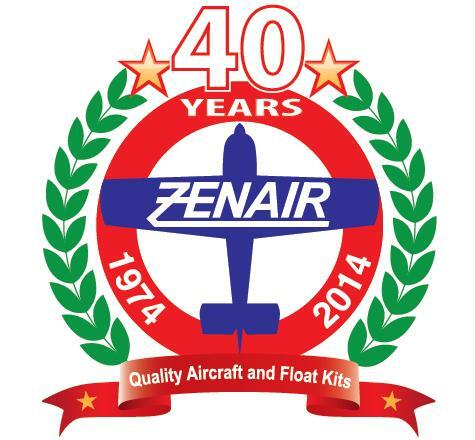 Designer Chris Heintz, a veteran aeronautical engineer, summarizes Zenair's STOL series: "The much-copied two-seat STOL CH 701 first came out in 1986 and soon set the standard for all new all-metal off-airport light aircraft. When recreational pilots asked for a larger version, the four-seat CH 801 was introduced (1999). When the Light Sport Aircraft (LSA) category was announced, Zenair developed yet a new STOL design, the CH 750, optimized for light Sport rules. After receiving numerous requests for a larger, tougher and more "industrial-grade" STOL design based on the CH 801, the heavy-duty CH 801-HD was developed; the CH 801-SD introduced in 2017. Today, this full line of STOL designs is operated around the world by recreational pilots who enjoy the short and rough field capabilities of the design; we also have specialized groups using the "HD" in agricultural (spraying) and other commercial/specialized settings..."